“First woman” or “first female” are often used when referring to Reinhardt’s 2014 Distinguished Alumna. First woman superinten-dent of the Cherokee County School District. First female mayor of Waleska, Ga. First female Cherokee Chamber of Commerce board chair. Being first hasn’t bothered Cline; instead, it has inspired and motivated her and many of those around her. A postage-paid postcard changed Marguerite Thigpen Cline’s destiny. Her journey to Cherokee County began when a teacher asked her to pick up something on the floor. The text caught her eye: “If you want to know more about Reinhardt College, write your name and address here.” If a stamp was needed she wasn’t going to mail it, but it was postage paid, so she returned it. Her parents didn’t expect her to stay, but stay she did. More than 60 years later, her impact can be seen across Waleska, Cherokee County and beyond. A very active student, Cline helped start the Student Government Association. 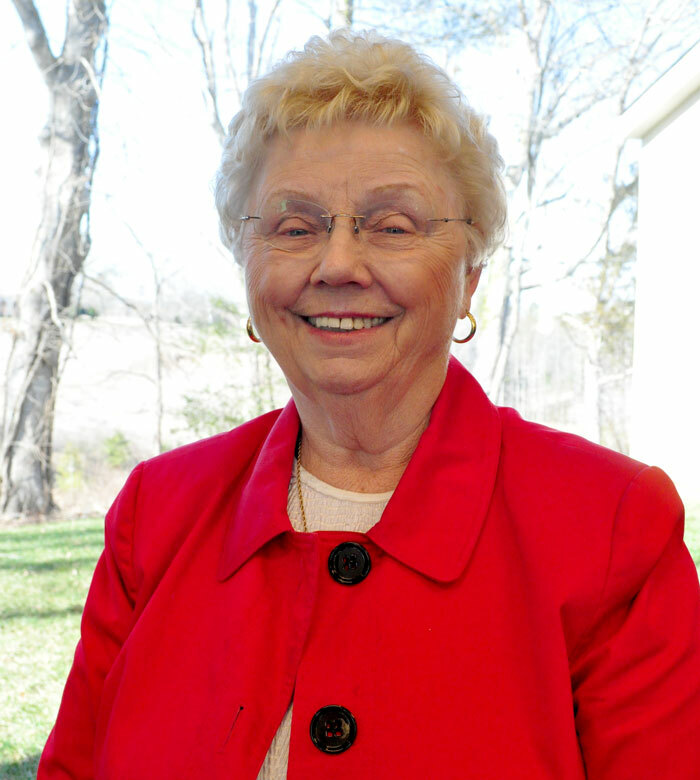 After graduating in 1958, she earned a bachelor’s and master’s degree from North Georgia College and a specialist degree from West Georgia College. She met her late husband, Joe Bob, while at Reinhardt. They married in 1958 and had three children: Cindy, Joel and John. Cline taught for 20 years at Clayton, Hickory Flat, R.M. Moore and Canton elementary schools. She was assistant superintendent of schools before being elected as the first woman superintendent of schools, a position she held for eight years. She has been a partner with Dobbs and Cline Consultants, an adjunct professor for Brenau University and an instructional consultant for North Georgia RESA. She was the first woman elected as mayor of Waleska, a position she held for 14 years. Cline has been a very active and involved community member and loyal alumna, serving as the first A DAY for Reinhardt chair and as Alumni Board of Governors president. Now a Reinhardt Ambassador, she served on the recent presidential search committee. At the 2015 Talon Awards Gala, she was named Reinhardt’s Distinguished Alumna of the Year. Cline is also a media personality and writer. For many years she has been a columnist for The Cherokee Tribune. She also co-anchored a TV show, Cherokee Profiles, for several years. A question from one of her sons encouraged her to become an author. “Momma Cline crocheted blankets for all of her grandchildren. What are you going to leave for your grandchildren?” he asked. She enjoyed writing, so she became an author. “I’ve Been Thinking” and “I’ve Been Thinking Book Two” include stories and experiences from her life in Sparta and Waleska. She also wrote “The Glory Years of WCHK.” And stay tuned, another book may be in the works! Cline is an active member and deacon of Heritage Baptist Fellowship Church and was a long-time member of Waleska Baptist Church. She served as church organist for 40 years. 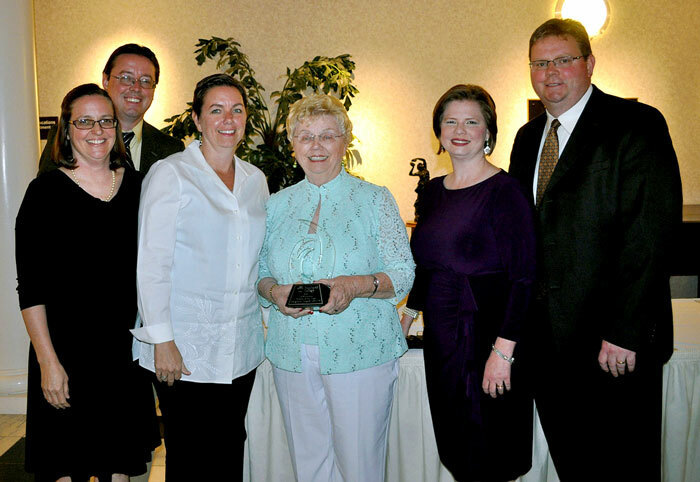 Marguerite Cline’s children and their spouses were on hand to see her named Distinguished Alumna of the Year. Joel ’90 is a veterinarian and director of research for J.H. Taylor Laboratory in Elba, Ala. He and his wife, Anne, have two children, Grace and Joseph. Cindy is a CPA with two children, Bess and Ben. John, a Cherokee County probate judge, and Millie Warren Cline ’95, his wife, have two children, Laney and Lillianne. Pictured are (from left) Anne, Joel, Cindy, Marguerite, Millie and John.